Boeing has been tapped by ABS, a commercial satellite provider, to build the ABS-8 spacecraft. This will be the third all-electric propulsion satellite that the company has requested. All three of these spacecraft are based on the small platform 702SP. The large aerospace firm views this decision as being driven by the quality and performance of these spacecraft. If everything goes according to schedule, the ABS-8 satellite should be delivered in 2017. It will be used to expand broadcast and enterprise services to Australia, New Zealand, the Middle East, Russia, as well as South and Southeast Asia. Unlike chemically propelled satellites, Boeing’s 702SP spacecraft uses a Xenon Ion Propulsion System (XIPS ) for both station-keeping and orbit-raising maneuvers. It allows significant mass advantage, due to the removal of the fuel tanks, enabling significant cost savings. She added that with a lighter satellite mass, two 702SPs can be launched together in a Boeing-patented stacked configuration aboard the same launch vehicle — essentially cutting launch costs in half for customers who choose to launch their satellites together. Climer also underlined XIPS’ advantages when it comes to environment protection concerns as well as human safety. “Xenon is an environmentally responsible, inert, non-hazardous element. Unlike other propulsion systems that use hazardous liquids as a propellant, with the xenon-ion propulsion system (XIPS ), there are no chemically hazardous operations for personnel at the satellite facility, during transportation, or at the launch site,” Climer told SpaceFlight Insider. The Boeing 702SP can operate in the S-, X-, C-, Ku, and Ka-band frequencies and — as with all Boeing 702 types — is designed to provide 15 or more years of satellite service with additional fuel capacity to enable multiple station changes over the life of the satellite. ABS-8 will replace ABS-7 at the 116.1degE orbital location. 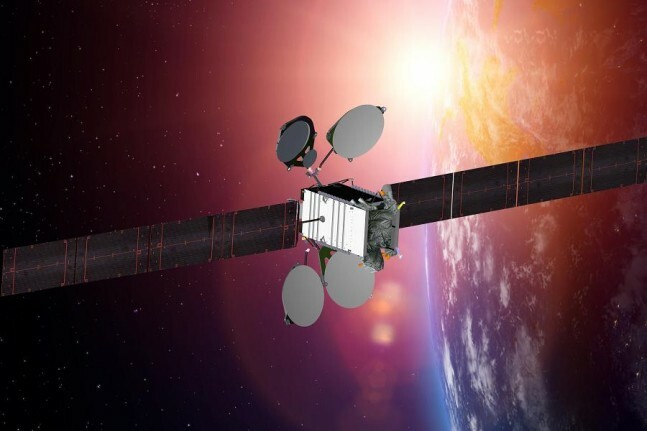 The ABS-8 payload will include traditional wide beam coverage and a high-powered Ku- and Ka-band multi-spot high throughput satellite (HTS) configuration. With a payload of more than 9 kW (kilowatts), it will be the highest power payload to date to fly on a Boeing 702SP.